Still indecisive about appearing for CSIR NET Chemical Science even though you cannot stop thinking of the golden opportunity of being on a career path towards the grand jobs of Junior Research Fellow or lecturer? Cannot make up your mind for the exam just because you feel it is tough and you do not know how to prepare for it? 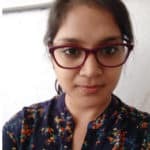 If you seriously are thinking about establishing a career in research then it is time for you to make up your mind to aim for this CSIR NET Chemical Science, because Rasayanika is here to help you make your preparation much easier and precise. With whatever time you have, you must gather all your efforts and energy and put them in the right direction to get satisfactory results. Here we are going to provide you with a Preparation Plan for CSIR NET Chemical Science exam to accomplish your goal. Topics Like Details about the exam, CSIR NET Chemical Science exam pattern, Important topics to study for CSIR NET Chemical Science exam, Top reference books & study material for CSIR NET Chemical Science exam are discussed below. CSIR NET (National Eligibility Test) examination in Chemical Science and other subjects as well is conducted by the Council for Scientific & Industrial Research (CSIR) and University Grants Commission and thus the exam is recognized as Joint CSIR-UGC NET Exam. It tests the eligibility of the applicant for the Junior Research Fellowship (JRF) and Lectureship (LS). Every year this exam is held twice, once in the month of June and then later in December. 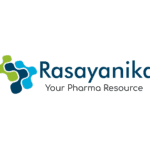 For the application opening and various other dates, you can always look up at the website of Biotecnika or Rasayanika where you will get all the information. Candidates who clear the JRF are awarded a good amount of fellowship (which has been hiked lately) for two years of research which is further extended to SRF for another 3 years. Though the CSIR NET exam looks lucrative it is not easy. It requires knowledge, consistent studies, resources, good guidance along with motivation. CSIR NET Chemical Science Exam is a single paper test divided into three parts; Part ‘A’, Part ‘B’ and Part ‘C’. There are a total of 120 multiple choice questions (MCQs) that have to be attempted in 3 hours and you are evaluated from maximum marks 200. Part-A is based on General Science, Quantitative Reasoning & Analysis and Research Aptitude. Part-B is based on subject-related conceptual questions. Part-C is the most important section making 50% of the paper and is designed to test how can a candidate utilize the knowledge of scientific concepts to its applications. Also, have a look at the cut-off of previous years to get an idea of how much you need to target in order to bag up the exam. Analyze the complete syllabus of CSIR NET Chemical Sciences and make sure you have the accurate idea of all the topic. The complete syllabus can be found on Csir website: http://csirhrdg.res.in/mcs_cs_sylbs.pdf. Since the exam syllabus is vast, choose the topics that interest you. While doing so also keep in mind not to skip the important topics from which questions come consistently in each paper and have more weight. Analyze the question papers and filter out these topics since covering every single topic is very difficult for the aspirants. Here is the list of important topics to be prioritized while studying. Unit-4: Main group elements and their compounds: Allotropy, synthesis, structure and bonding, industrial importance of the compounds. Unit-5: Transition elements and coordination compounds: structure, bonding theories, spectral and magnetic properties, reaction mechanisms. Unit-7: Organometallic compounds: synthesis, bonding and structure, and reactivity. Organometallics in homogeneous catalysis. Unit-1, 2, 3 & 4: Basic principles of quantum mechanics: Postulates; operator algebra; exactly- solvable systems: particle-in-a-box, harmonic oscillator and the hydrogen atom, including shapes of atomic orbitals; orbital and spin angular momenta; tunneling. Approximate methods of quantum mechanics: Variational principle; perturbation theory up to second order in energy; applications. Atomic structure and spectroscopy; term symbols; many-electron systems and antisymmetry principle. Chemical bonding in diatomics; elementary concepts of MO and VB theories; Huckel theory for conjugated π-electron systems. Unit-7: Chemical thermodynamics: Laws, state and path functions and their applications; thermodynamic description of various types of processes; Maxwell’s relations; spontaneity and equilibria; temperature and pressure dependence of thermodynamic quantities; Le Chatelier principle; elementary description of phase transitions; phase equilibria and phase rule; thermodynamics of ideal and non-ideal gases, and solutions. Unit-10: Chemical kinetics: Empirical rate laws and temperature dependence; complex reactions; steady state approximation; determination of reaction mechanisms; collision and transition state theories of rate constants; unimolecular reactions; enzyme kinetics; salt effects; homogeneous catalysis; photochemical reactions. Unit-5: Organic reaction mechanisms involving addition, elimination and substitution reactions with electrophilic, nucleophilic or radical species. Determination of reaction pathways. Unit-6: Common named reactions and rearrangements – applications in organic synthesis. Unit-7: Organic transformations and reagents: Functional group interconversion including oxidations and reductions; common catalysts and reagents (organic, inorganic, organometallic and enzymatic). Chemo, regio, and stereoselective transformations. Unit-10: Pericyclic reactions – electrocyclization, cycloaddition, sigmatropic rearrangements, and other related concerted reactions. Principles and applications of photochemical reactions in organic chemistry. CSIR NET is an examination for PhD level. Besides the clear concepts, it also demands in-depth knowledge of the subject. For that, you should refer to good books. This will help you with clearing concepts as well as will make you more knowledgeable. Also, you can refer to Biotecnika’s study material which covers the whole syllabus with interactive design and allows you to practice questions. After looking at the syllabus it will not be an onerous task to understand that you have a huge syllabus to be covered in very less time. But lesser time doesn’t mean the target is not achievable. It can be attained by proper planning which involves first to set a time table for yourself as per your convenience. Make sure you take up important topics first. And as soon as a topic is complete, revise it instantly. For a daily plan: minimum 5-6 hours should be kept aside every day for studying along with an extra hour for revision. Following the layout of the time table, you should start studying. Whenever you sit down to study, make it a habit to make short notes side by side. This helps in a lot of ways. First, it will help in making the learning and memorizing process quicker as writing things down makes our mind to remember things more. Second, at the end when your complete syllabus is done and the exam is around the corner you just have to pick these notes and revise and you will be ready to go. Along with that you can mark the topics in notes which you are not very confident about and study them later again. Also, apart from these notes make a separate sheet for formulas of physical chemistry. There are too many to just remember this. Best is to write the ‘formulas only’ on another sheet and keep revising them from time to time. Initially while practicing questions you can use the notes but once you remember them try to solve questions independently. Human brain remembers more when you write than when you read only. So to make the concepts stay longer in your memory you need to practice with writing! Once your concepts are clear and you have gone through a topic, pick previous years question papers and solve them. This is the best way to assess yourself about your understanding of the topic. Your performance will let you know how much more effort is needed to improve the result. It also gives you the idea about the pattern of questions in the CSIR-NET exam and can provide you with good command on the weak areas. As more and more questions you practice, more likely are the chances to clear the exam. Practicing questions is the most important factor that can help. Join Biotecnika for weekly and monthly tests along with CHEMNET series which provides questions from different Units. Revision at every step is a must. Every day at the end of the day, every time you complete a unit and every week, month and so on. Before the exam, the complete syllabus must be revised twice at minimum. Here your notes will come handy. The revision at the end can be done with the help of the notes made throughout the preparation time. How to Prepare for CSIR NET Chemical Science General Aptitude [Part-A]? There is a lot of similarity between organic/physical chemistry and general aptitude section. Both involve studying too many concepts and equations but in examination, the question that you get are not easy to solve. To know how to approach these questions, the best way is to practice questions at home throughout your preparation time. In the time table make sure you have kept time for solving GA questions. Even if you take up 5 questions every day from GA, you will be ready for the exam as well as be confident about Part-A also. Helping others as well as yourself: To test yourself try to teach someone else. It will help you understand your level of preparation and will make you more confident too by making the concept memorized for a longer time. Uplifting Self-Confidence: Be confident and stay positive. There is nothing to worry or get nervous about. Believe in yourself and think whatever you have studied is enough and you remember it. Speed and accuracy are two essential skills to score well in any competitive Exam. And this can be achieved only by practicing questions. At the end do not forget to analyze the efforts you have put in order to achieve your goal. Make sure you seize the opportunity and move ahead towards your desired career. Biotecnika & Rasayanika has been a pioneer in helping students clear the CSIR NET Chemical Science Exam for JRF & LS. 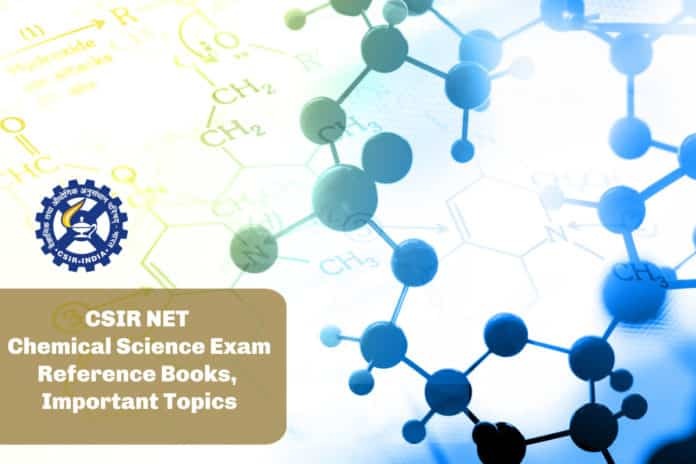 In-depth classes with animations, Recorded lectures, Hard & soft copy of study materials, Doubt clearance facility, Ebook Library, Test series – CHEMNET for CSIR NET Chemical science are some of the significant features by which you can qualify the exam easily. reader and rapidly identifies research opportunities and job market trends in her field. She is an expert in CSIR NET Chemical Science subjects and has assisted a lot of students to qualify for the exam. She is an inspiration to her students who under her guidance, have developed the habit of unwinding the mysteries of chemistry. Keywords: CSIR NET Chemical Science Exam, CSIR NET Exam, CSIR NET Chemistry, CSIR NET Chemical Science, CSIR Chemical Science reference books, CSIR NET Chemical Science Exam study materials, Important topics for CSIR NET Chemical Science Exam, Books for CSIR NET Chemical Science Exam, Preparation strategy for CSIR NET Chemical Science Exam, Test series for CSIR NET Chemical Science Exam, How to prepare for CSIR NET Chemical Science Exam, CSIR NET Chemical Science Exam online class, CSIR NET Chemical Science Exam study material, CSIR NET Chemical Science Exam, CSIR NET Chemical Science Exam reference books, CSIR NET Chemical Science Exam organic chemistry, CSIR NET Chemical Science Exam inorganic chemistry, CSIR NET Chemical Science Exam Physical Chemistry.